The Zimbabwe Anti-Corruption Commission (Zacc) has arrested former Sport, Arts and Culture Minister Andrew Langa (pictured) on allegations of corruption stemming from the 2014 African Union Youth Games held in Bulawayo. Although details were still sketchy last night, sources said Mr Langa was yesterday admitted to Mater Dei Hospital in Bulawayo under police guard. 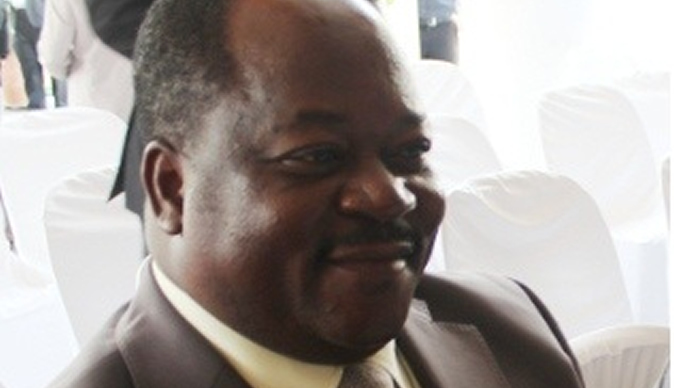 Langa, who is also the Member of Parliament for Insiza North in Matabeleland South, is expected to appear in court today facing corruption charges. "He was arrested by Zacc officials and has since been admitted to Mater Dei Hospital in Bulawayo under police custody. He was arrested with issues to do with the 2014 African Union Youth Games," said one of the sources. The circumstances that led to his admission to hospital were also still unclear yesterday. In 2015, former President Mugabe fired Langa from Cabinet and replaced him with the then Minister without Portfolio Makhosini Hlongwane. Langa had an uneventful tenure as sports minister as he remained largely silent as various sporting disciplines declined. The administration of football, then under the stewardship of a bungling Zifa led by Cuthbert Dube, reached probably its lowest point. During the past few months, Zacc has been arresting several former senior Government officials and legislators on corruption charges. Yesterday, former NetOne CEO Reward Kangai appeared before Harare magistrate Ms Rumbidzai Mugwagwa facing 21 counts of criminal abuse of office charges. Kangai was accused of unlawfully and corruptly sanctioning payment of rentals in advance to base station landlords without the company's authorisation. Highfield National Assembly representative Psychology Maziwisa and former ZBC News anchor Oscar Pambuka were arrested this week for fraud by the corruption-busting body. The two were facing charges of fraud involving $12 500 actual prejudice paid to them and $36 000 potential prejudice. This was after they wanted to offer public relations consultancy services to Zimbabwe Power Company through former Energy and Power Development Minister Samuel Undenge who has since been arrested for abuse of office and is out on bail.